There's a reason why we brought in our art director for the March Developer Update. 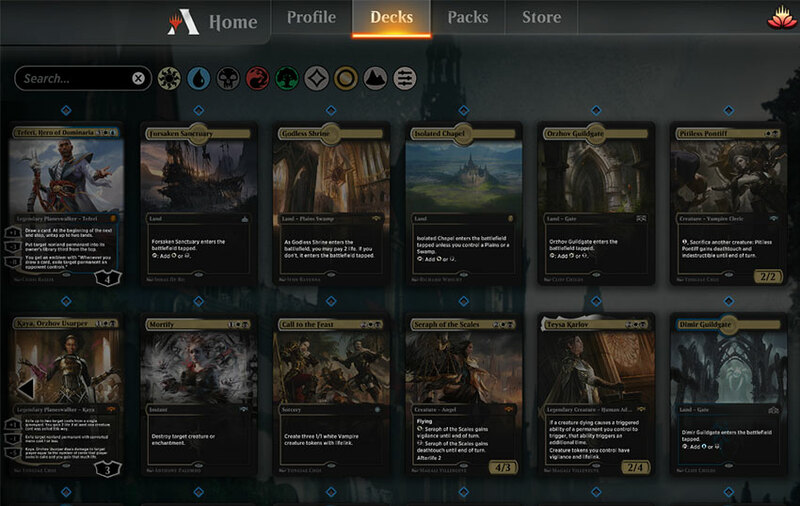 And that reason is, MTG Arena is about to get some good lookin' features in the March update! Before we break down how each of the cosmetic options will work, there are a few things we want to call out. First off, we're by no means finished! With six sets currently in MTG Arena, there is some catch-up work to do, and we'll be adding a seventh in just a few weeks with the release of War of the Spark. While we cannot promise that every card will receive a card style, that is the goal we're working toward. And yes, we're also looking at ways to include other promos or card-style options, so if there is something you'd really like to see, be sure to let us know! You can acquire some of these cosmetic options through the store, while others will be available through ranked season rewards or special events. And now, without further ado, here's a breakdown of each of the three options coming with this update. For additional information, you can also refer to our Cosmetics FAQ. Card styles allow you to change how the front of your card looks. For this update we're adding a style unique to MTG Arena that combines a parallax effect with extended artwork, showcased above with Sulfur Falls. We'll be previewing a few more of these cards leading up to next week's update. You'll also be able to see which cards have card styles in-game through the deck builder, which now has a new filter option specifically for card styles. Selecting a card will provide more information on how the card style can be obtained: through bundles, seasonal rewards, play, or purchase through the deck builder. And take note of the single pip! Once the card style is acquired, it unlocks for every copy of that card illustration in your collection! Once acquired, a card style can be applied to all cards with that illustration—you don't need to acquire it more than once. Card styles are based on the card's illustration. This means that if a card shares an illustration across sets (e.g., Luminous Bonds in Rivals of Ixalan and Core Set 2019), once you've unlocked the card style, it will apply to any card in your collection with that illustration. If the card appears in a set using a different illustration (e.g., Luminous Bonds in Guilds of Ravnica), it will have a separate card style you can acquire. It is possible to acquire card styles for cards you do not have in your collection. If this happens, you will be able to apply the style once you have the card in your collection (you won't have to re-acquire the style). On the "flip" side, card sleeves allow you to change the way the back of the card looks. Like card styles, you'll be able to select your card sleeve from the deck builder page by clicking on the deck box and then selecting which card back you'd like to use from the ones you have available. Applying a card sleeve is optional. You'll be able to swap between card sleeves and the default card back in the deck builder. Last, but not least—more avatars! They'll work just like avatars currently do, only now there are more of them. Before you ask, we're not removing any of the avatars that are currently available. No takesy backsies on the options you already have! Huatli and Angrath (which were used during Closed Beta before players could select their Avatar) will be available for purchase with either Gems or gold, and each of the ten guild leaders from Ravnica is also available. In our current version of the new-player experience, Sparky walks you through a few tutorial matches, rewards you with some decks, and then . . . kicks you into the deep end of the mana pool. Since Magic: The Gathering can be a pretty complex game, rewarding new players with a bunch of decks and then telling them to have fun against other players isn't always the easiest way to learn. Well, Sparky's back, and this time she's not on your side of the battlefield. 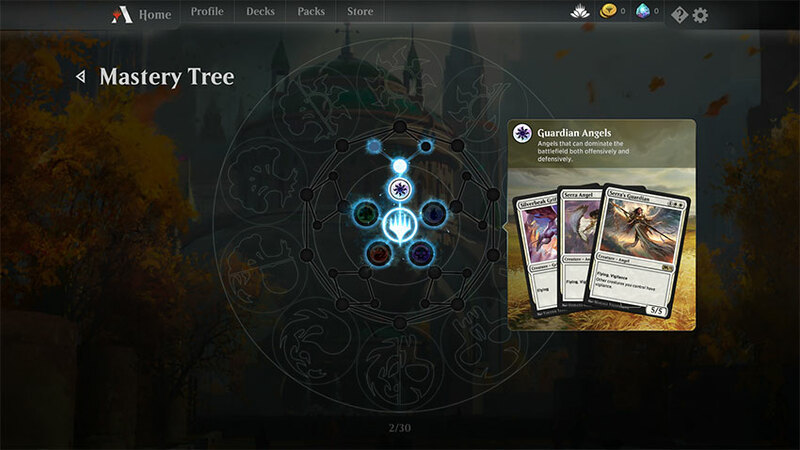 Starting next week, you'll be able to queue up for Practice Matches in MTG Arena. Whether you're looking to try out a new deck or simply brush up on your skills, Sparky is here to offer a helping hand (or rather, hand-like manifestation of a Planewalker's latent power) to every player in MTG Arena. And if you happen to be one of our newer players, you'll be able to use practice matches to gain experience, level up, and progress toward mastering how to play Magic: The Gathering. To celebrate both the March update and the upcoming Mythic Invitational, we're also going to be holding a special event: Treasure Constructed. In Treasure Constructed, at the beginning of each of your upkeeps, you create an artifact Treasure token which you can sacrifice to create one mana of any color. To make this event extra special, we will be offering the event with no entry fee! You can participate as many times as you like without having to spend gold or Gems. And remember when we mentioned how special events will be one of the ways you can earn card skins? You can probably see where this is going: Players who get one or more wins before two match losses will receive a card style for Skewer the Critics. If you manage to get to five wins before two losses, you'll receive a card style for both Skewer the Critics and Chemister's Insight. While this covers the major new features coming in March, you should also expect some bug fixes, gameplay improvements, and other quality-of-life changes as part of this update. The update is currently scheduled to go live on Wednesday, March 27, with maintenance beginning at 5 a.m. PT (noon UTC). As always, be sure to keep an eye on our status page for the latest information or any changes to our maintenance schedule. Why Wednesday, you may ask? Well, isn't that the $1,000,000 question . 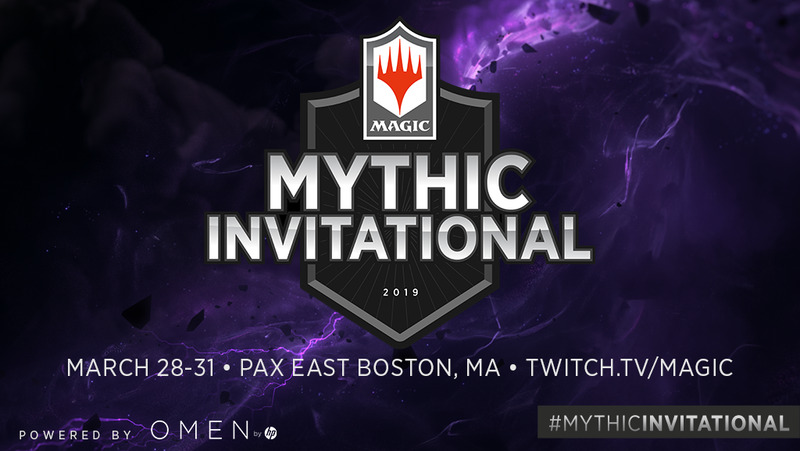 . .
Next week, the historic Mythic Invitational will take place at PAX East! We'll be streaming on twitch.tv/magic beginning at 10 a.m. 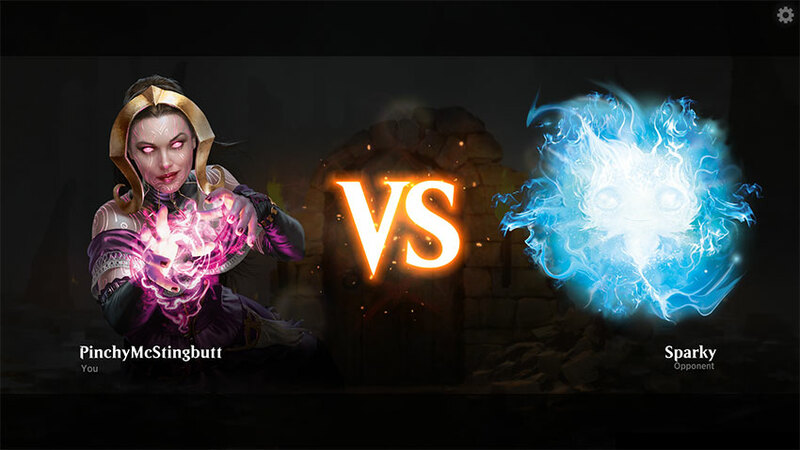 ET on Thursday, so be sure to tune in to watch some of your favorite streamers and eight Challengers from MTG Arena—and the entire Magic Pro League—compete for their share of the $1 million prize pool!